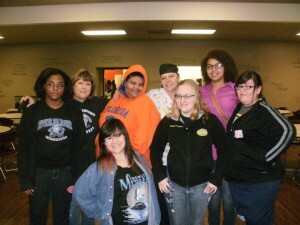 CSF is a non-profit student organization at Northeastern Oklahoma A & M College in Miami, Oklahoma. We are a campus ministry supported by independent Christian Churches/Churches of Christ. 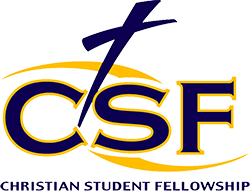 CSF is a member of the Association of College Ministries (ACM). We minister to a wide array of students. We have two weekly meetings. Mondays at noon we have “Hot Topics & Cold Cuts.” We discuss hot topics and have food prepared by Chris and Lonnie Portenier. Wednesdays at noon we have “Feastin’ on the Word,” where we explore the Bible and eat a home-cooked meal provided by an area church. We also have events throughout the semester such as trips to places like Nebraska and Kansas in the fall and to Grundy, VA in the spring and Mexico in the summer. We also visit supporting churches and minister to the people of those churches with our worship and drama teams. We are located at 135 I St NE Miami, Ok 74354.